How did your interest in complementary medicine start? During that time, I decided to enrol in a course specializing in acupuncture, acupressure and reflexology and from there I realized that I could indeed present something new that benefits patients worldwide. You have conducted several surveys through your Center in the Kingdom of Saudi Arabia in regards to rheumatism cases and ways of treatment, and from there you came to the United Kingdom; are there any differences between both the countries in terms of the causes of infection and treatment success rates? After finishing my PhD studies in the United Kingdom, I conducted a comparative study between Saudi Arabia and the United Kingdom in terms of rheumatism. The study concluded that the deterioration of the joints in Britain occur at an increased rate in comparison to Saudi Arabia. This was caused by several elements including eating habits, alcohol consumption, and high-protein in-take in meats and pork in addition to psychological elements pertaining to exposure to stress and anxiety. How did your presence in the United Kingdom contribute to the achievements you have reached today? As I have said before, the United Kingdom was a huge catalyst in my medical journey. I found the path I wanted to pursue in Britain. Deciding to enrol in modern medicine studies alongside the courses I was taking in complementary medicine was what inspired me to study Laser treatments in the United States; which helped me introduce a new method of treatment for rheumatic pains. You are known by the small number of treatment sessions, tell us more about these sessions and about other factors of excellence you enjoy. Most natural therapy sessions are known to be between 6 to 12 sessions, but thanks to our new treatment method, a patient can stand a chance to achieve full recovery after two or three sessions. Surprisingly, in many cases, only one session was needed to achieve full recovering. We are delighted and proud as we have managed to present an exemplary medical service to patients coming from faraway destinations, and sometimes from different countries. We also use modern medicine in the cases that require so, but on the other hand side, we don’t ignore elements such as lifestyle in terms of eating habit, psychological health and exercise regimes. 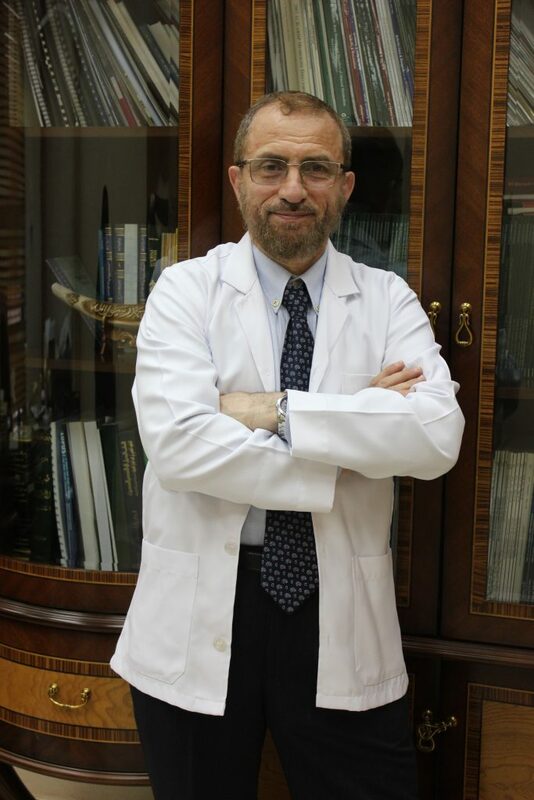 Articles were written about you in the Daily Mail and The Guardian; you were also chosen as one of the best 10 rheumatism doctors in Britain in addition to a prominent appearance on Arabic media programs, what message are you keen on delivering it to your Arabian and Western audience? I am keen on raising awareness amongst the masses in terms of the importance of preventative measures when it comes to diseases, and how it can be much more effective than treatments. In my medical write-ups around the relationship between carbonated drinks and fast food meals and the weakening of the bones (osteoporosis), I try to raise awareness and educate people in order to decrease the rate of incidences of bone diseases that are on the rise. You studied nutrition in the United States, how did this knowledge help in rheumatism treatments. After spending ample time with orthopaedic patients in Arab and Western countries, I found that a knowledge gap was present in terms of the correlation between the nutritional regimen and rheumatism. Hence, I was keen to study nutrition in the United States of America, which confirmed to me the importance of a dietary plan whether joint inflammation was present or not. For instance, patients notice that joint inflammations improve when they avoid red meat and wheat. What do you hope on achieving in the upcoming period? 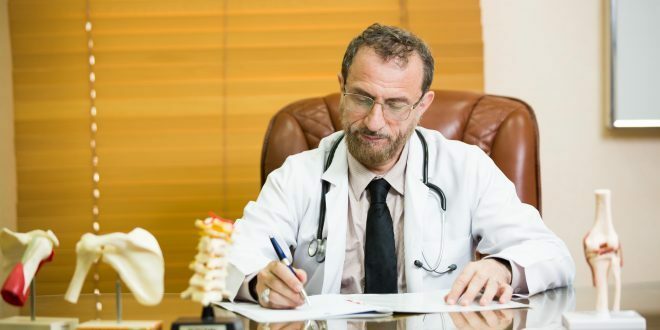 I hope everyone will come to know of my new treatment so as to avoid the dangerous side effects that can be caused by painkillers which have indeed resulted in near kidney-failures in several patients suffering from bone diseases. I am determined to expand this successful treatment so that it can go beyond Saudi Arabia and the United Kingdom, and become accessible to all patients all over the world. Finally, I would like to add that a patients’ recovery is a source of great delight to me. Spreading happiness and pleasure amongst people is the biggest feeling of success one can achieve. ← Previous Story From a small-scale store to an online shopping platform on eBay: How did Mohammad Agha do it? !